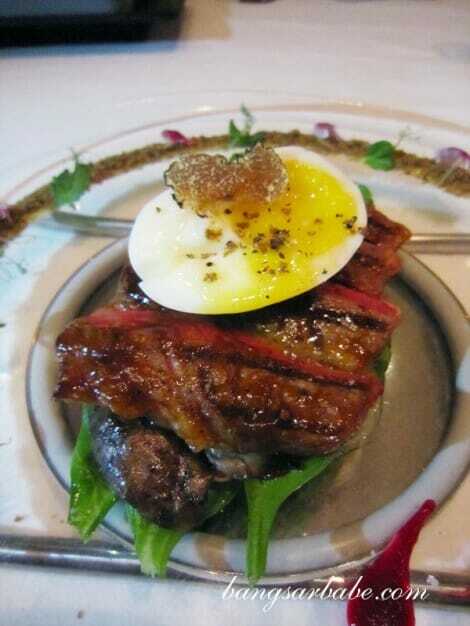 “You must try the Sher Wagyu at Prime!” Chef Antoine said over coffee a few weeks ago. It was his attempt to get this creature of habit to try other things besides her regular prime rib. 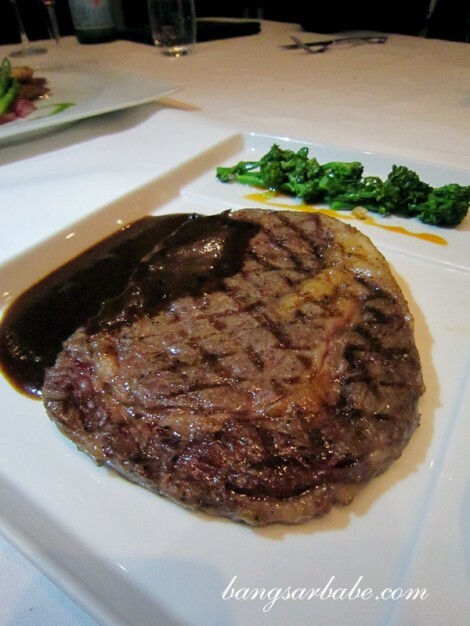 I’ve tried quite a fair bit of steaks in Klang Valley, but my best steak experience is still at Prime because it is a proper steakhouse and not a steakhouse trying to be a fine-dining restaurant. The breads are pure evil; you can never stop at one slice. Together with the trio of butter on the side, we ate slightly more than a serving of bread before getting down to some serious steak business, starting with the Sher Sirloin Steak Tataki (RM208++). Topped with half an egg – runny yolk – and a slice of truffle, the just-seared beef was ultra tender and juicy with a superb flavour. A prelude of many good things to come. For rif, Chef Antoine ordered the Charcoal Grilled Sher Wagyu Tenderloin (RM388++) and the Grilled Sher Wagyu Rib Eye (RM288++) for me. It is usually the guy that takes the rib eye, but Antoine knows I eat like a man. Hahahaha! 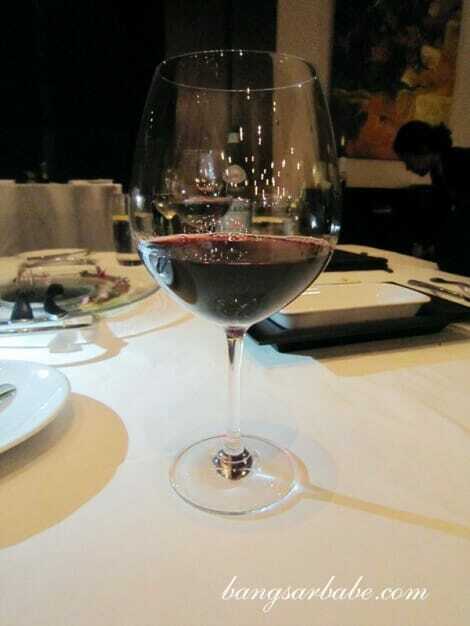 We sipped on red wine while waiting for our wagyu, which arrived almost simultaneously. 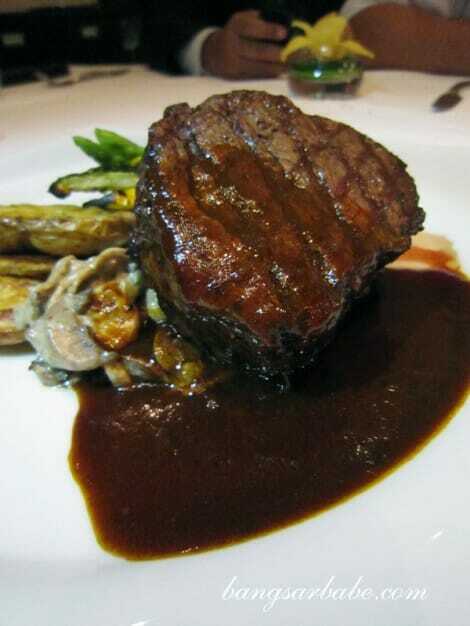 The Grilled Sher Wagyu Tenderloin – topped with light black summer truffle jus – came with a side of roasted fingerling potatoes and wild forest mushrooms fricassee. 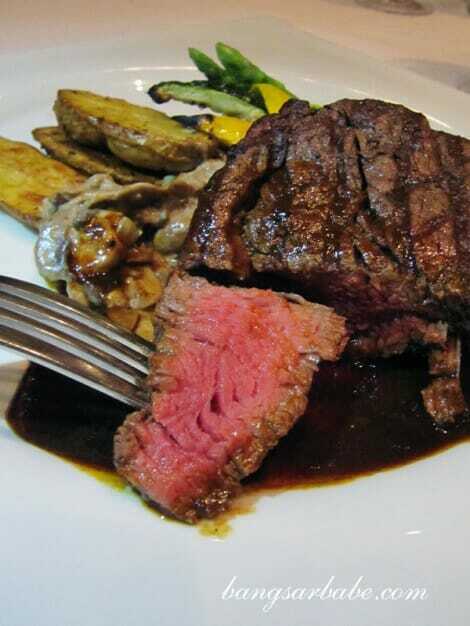 It was perfectly and uniformly medium rare, and complemented by the mild truffle jus. I also liked the roasted fingerling potatoes and mushroom fricassee – the former was crisp on the outside with a soft center while the latter had a nice, earthy flavour. My Grilled Sher Wagyu Rib Eye was excellent. Cooked to medium rare perfection, the rib eye was invitingly aromatic, beautifully marbled and tasted delicious from the caramelized fat. This is worth screwing your diet over, seriously. It was so decadent that I ate it as slowly as possible to prolong the experience. This came with some buttered broccolini, crispy wagyu bresaola layered with potato thyme mousseline and sweet garlic sauce. Antoine ordered a bone marrow with sweet shallot crème brulee for me to try, and it was lovely. Although, the foie gras crème brulee still tastes better. 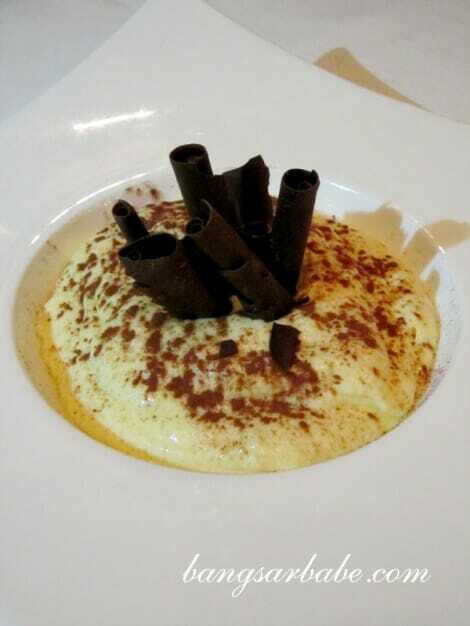 Dessert was our regular tiramisu (RM30++) — still hands down the best tiramisu we’ve eaten. 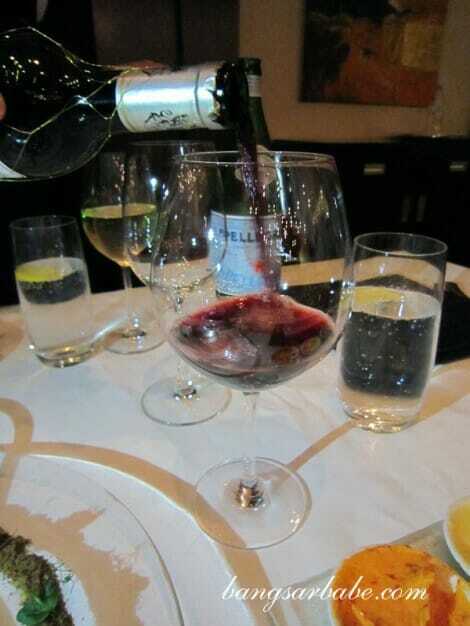 Dinner was wonderful – both the food and company. Antoine cracked us up with his jokes and real life stories. I also found it hilarious that a group of people walked into Prime and ordered everything on the menu except steak! Thank you Fauzy and Antoine, for having us over for dinner; rif and I had a good time. The Sher Wagyu promotion ends 31 December 2011. Prices start from RM208++. 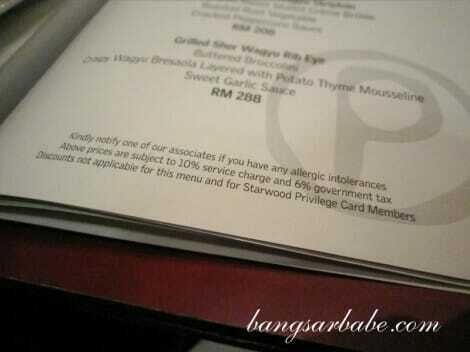 The Starwood Card discount does not apply for the Sher Wagyu promotion. Verdict: Purely steak business. The rib-eye is oh-so-good! 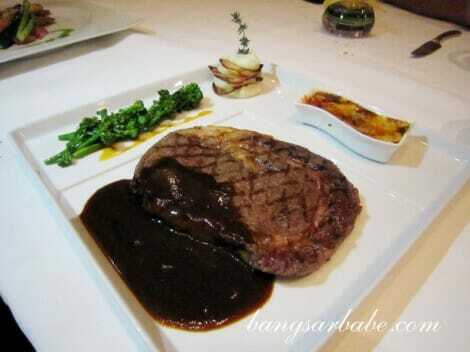 *rif and I agreed on 8.5/10 because the meat was good, portions were generous and the steaks were beautifully presented. Hahaha!! Yeah, I thought I could use my Starwood Card, but saw the fine print later on. I agree with u – the tataki is very good! Yums. Love the pretty presentation too. you and baby sumo blogged about prime! the coincidence! Does look very nice indeed. Partial to wagyu I must admit, premium prices most places. Last time I had it in a restaurant here they braised it!!!!!! Chef no longer there – thankfully!!! Nobody will say no to that fine meats! 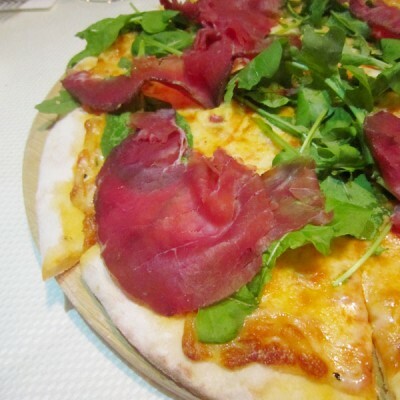 And Chef Antoine is really know how to handle this 2 piece of premium ingredients. Having stayed long term at Hilton, we must have tried Prime at least 4 times this year. While everyone waxes lyrical about it, we’re still not sure why. The first time I walked in I thought, wow I’ve stepped back in time 20 years. The decor, the seats, the wood looks like its trying to be from another age. Except it doesn’t come together and just looks try hard. It is good – but then again its a steak. To screw up a steak you have to be an idiot cook. Factor in the eyewatering prices (for KL), and I’m not convinced its “the best”. First impressions were confirmed looking at the menu. Adjectives such as “creative”, innovative” and “leading edge” were not words that came to mind. Again it was more “have these guys seen where food has moved to in the modern age”. There was steak. 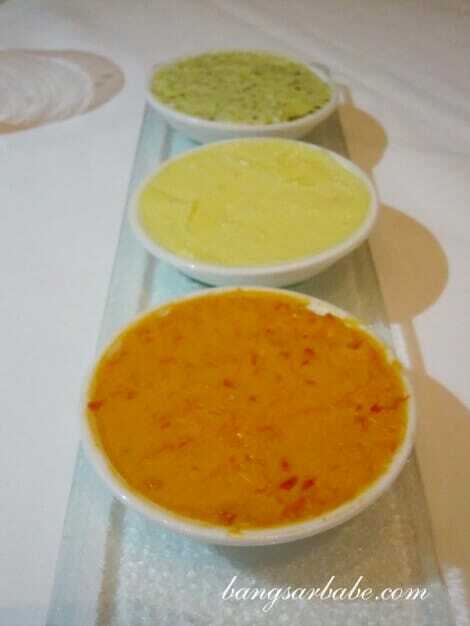 There were sauces from the middle ages (Béarnaise sauce and pepper sauce?? didn’t they get replaced on menus at the same time legwarmers went out of fashion?) And side dishes, creamy spinach? sauteed asparagus? grilled vegetables? Really? Thats what i expect from a Mum and Dad steak place, not an upmarket eatery. Caesar salad? I didn’t think restaurants still served that. A menu should make you excited, and be an heart fluttering portent of what will come. The last time i went, i sighed when I opened the menu. I kid you not. I assume the Chef doesn’t age the meat himself, which means all he does is put it on a grill. Wait. Then turn it over. Done. Really not that hard. “premium produce” or not, its the same cooking process. You could do it at home. Oh, and if you want the same cross marks from the grill, rotate the steak 90 degrees during cooking. Viola. Marbling of 6? that’s middle of the road, considering meat has to be at least 4 to be called Wagyu, and top is 9+. For those prices it should all be 9+. When the steak came out, it never ceased to amaze me how boring it looked. A piece of meat on a large white plate with a lot of white space around it. Yes the meat should be the centrepiece. But being alone doesn’t do it. It looks sad and lonely. The lead actor rises up because of the set and supporting cast around him. Not because he is alone. If you don’t want to put anything else on the plate, how about a plate with a dash of colour? how about a using a slab instead? What lifts a steak restaurant up is all the accoutrements around the meat. 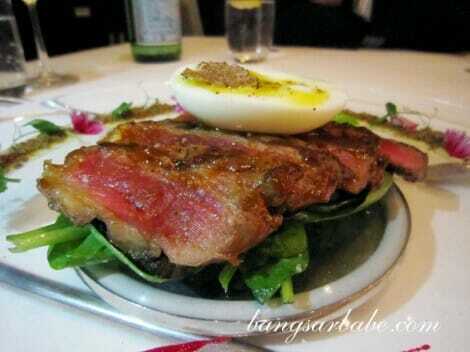 At the end of the day steak is just a steak, so creative starters, modern sauces and light salads make the difference. Steak can be pretty heavy, so how about a ceviche for balance? Or a salad and sides with a bit of bite to counteract the weight of the meat? With high prices, come high expectations. It seemed like a fine dining restaurant trying to work out how to elevate steak to fine dining levels. And looking in the 1980’s playbook for the answer. For me at that price level, I’m looking for “wow”, for ideas i never would have thought of, for ingredients I can’t source myself and techniques that I can’t do myself. Prime fails on all these counts. Which makes it extraordinarily overpriced grilled piece of meat. I have to agree and disagree. 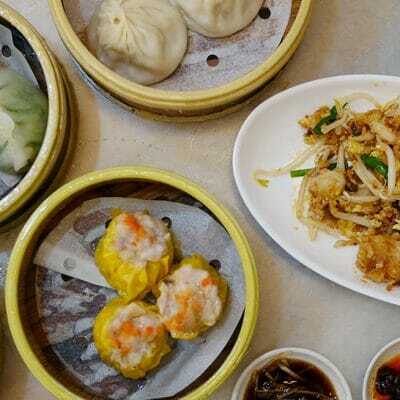 Yes while I agree that the menu should be innovative you must remember what is the objective of a hotel restaurant – it is to cater to the hotel’s customer. 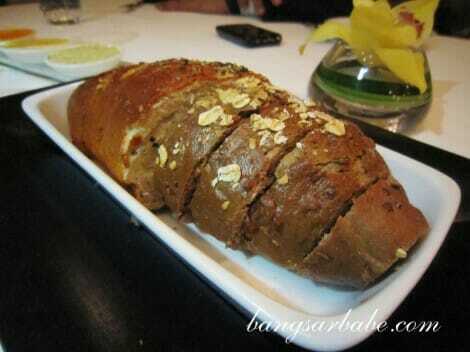 Secondly you need to understand what the theme of the restaurant is when they opened – “steak house restaurant”. Price-wise I don’t think we should be complaining, USD60-100 for a steak? I have travelled around the world and I must say that that is the average price for a steak in a hotel restaurant (good or bad tasting steaks). Let’s not go so far, take Singapore for example, go to any hotel restaurant and order a steak, it should be around that price or worse, more expensive. 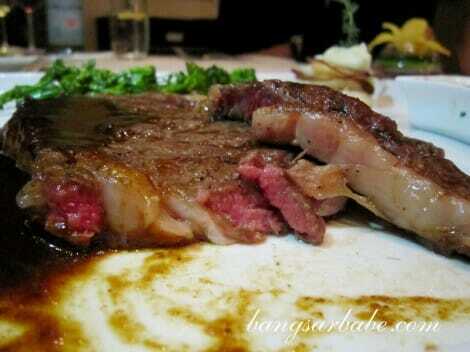 Please do recommend a steak restaurant that is better than this steak restaurant in Malaysia. We are always open to trying to new places.